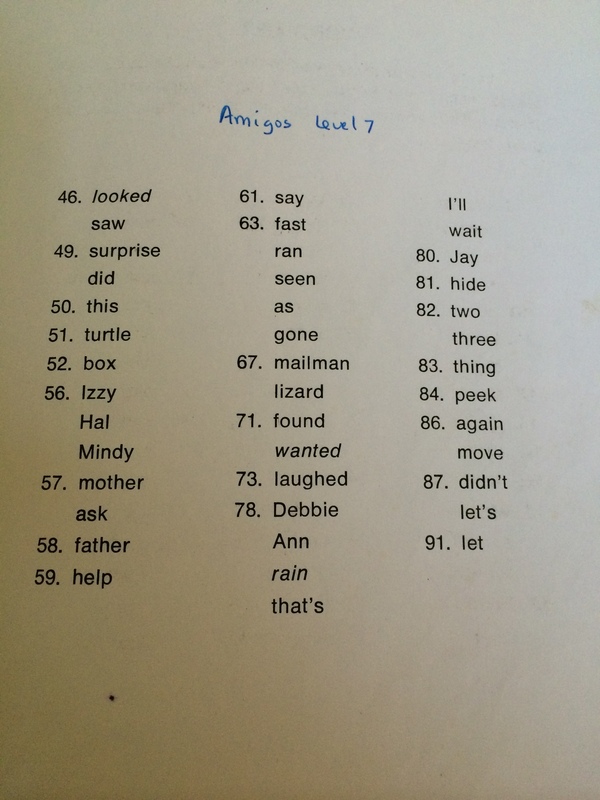 The stories in the book Amigos have good English words and sentences for learning and practicing speaking and reading in English. He wants a friend who can run and jump. He can’t run and jump. He likes to sit and look. 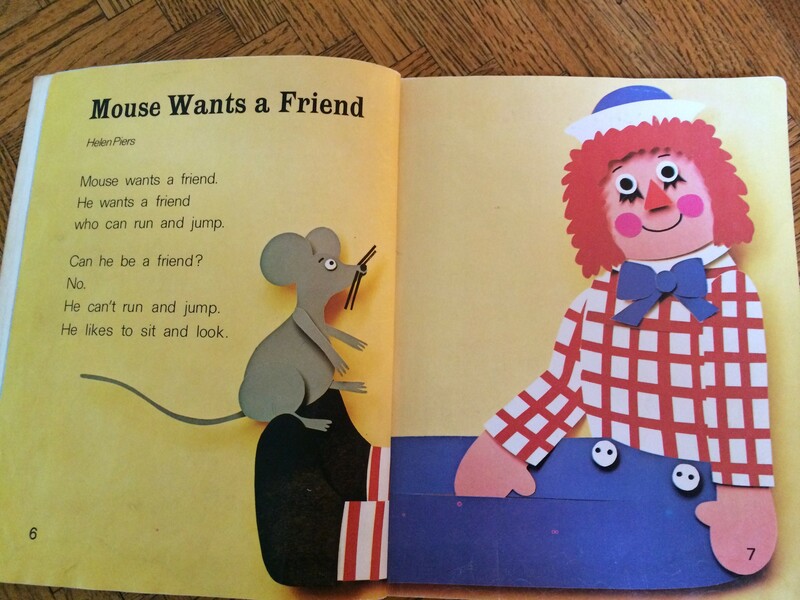 Mouse wants a friend who does not sit and look. He wants a friend who does not fly. Mouse wants a friend who can run and jump. He likes to walk slowly. Mouse wants to find a friend. But he does not like to sit and look. He can’t fly or jump high. And he does not like to walk slowly. Will Mouse find a friend? Does she jump up and down? Does she run in and out? Is she the friend Mouse wants? Yes! She is a mouse, too. My friends ride on the bus, too. We like to ride on the school bus. A funny woman drove the bus. We liked the funny woman who drove the bus. She drove and she sang. She sang to the birds. She sang to the dogs. She sang to my friends. The woman gave funny presents to my friends and me. And we gave funny presents to the woman. I gave little things, like a little mouse and a little car. She liked the car. She liked the mouse, too. 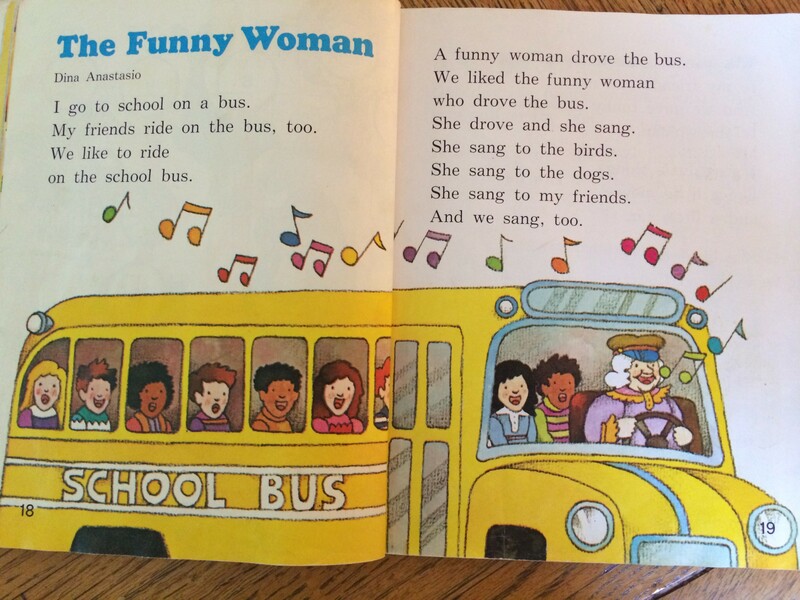 One day the funny woman was not on the bus. A woman drove the bus that day. The woman was not too funny. We sang to the woman. “I want to see her. She is my friend,” I said. So one day, I went to find the old woman. The old woman was not there. But a little girl was there. “She is at the park with her dog. You will find her there,” said the girl. I went to the park but she was not there. A woman was there, but she was not my friend. “I can’t find the funny old woman,” I said. I was sad that day. The old woman was my friend. One day I went to school. And there was the old woman. “Are you going to drive the bus?” I said. “I can’t drive the bus. “She can if she wants to,” I said. 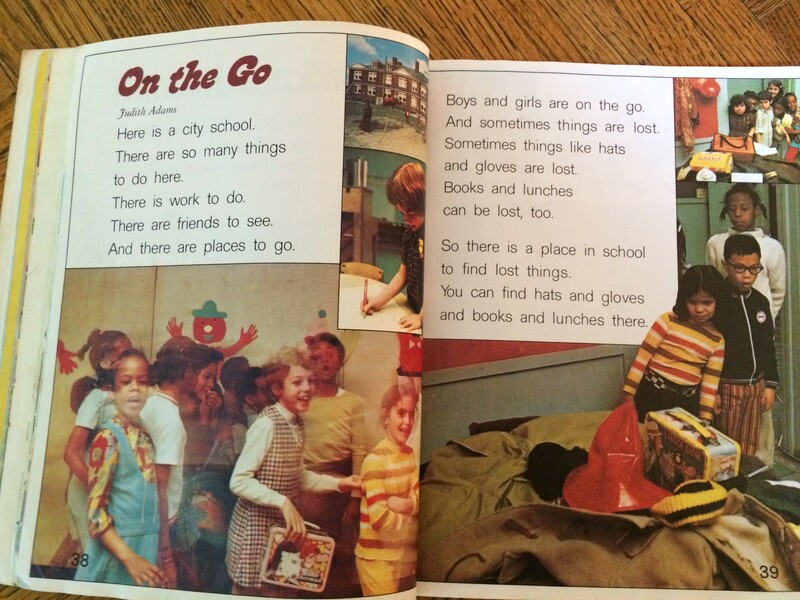 In school we read, and we sang. But the day went slowly. Then we went to the lunchroom. “I like it here in the lunchroom. So the woman works in the lunchroom. she sits down with my friends and me. One day, I gave the old woman a present. She said, “What a bird! sang in the lunch room. Here is a city school. There are so many things to do here. There are friends to see. Boys and girls are on the go. And sometimes things are lost. Sometimes things like hats and gloves are lost. Books and lunches can be lost, too. So there is a place in school to find lost things. You can find hats and gloves and books and lunches there. Sometimes lost things are not there. Boys and girls are sad if lost things are not there. But boys and girls are not too sad. You see, there are so many things to do in a city school. There was a hill in the woods. There was a house on the hill. And there was a man in the house. The man liked things to be in place. and where to find his umbrella. where to find his other things. and a place for his umbrella. for his other things, too. “I like to know where things are,” said the man. The man was happy with his things. 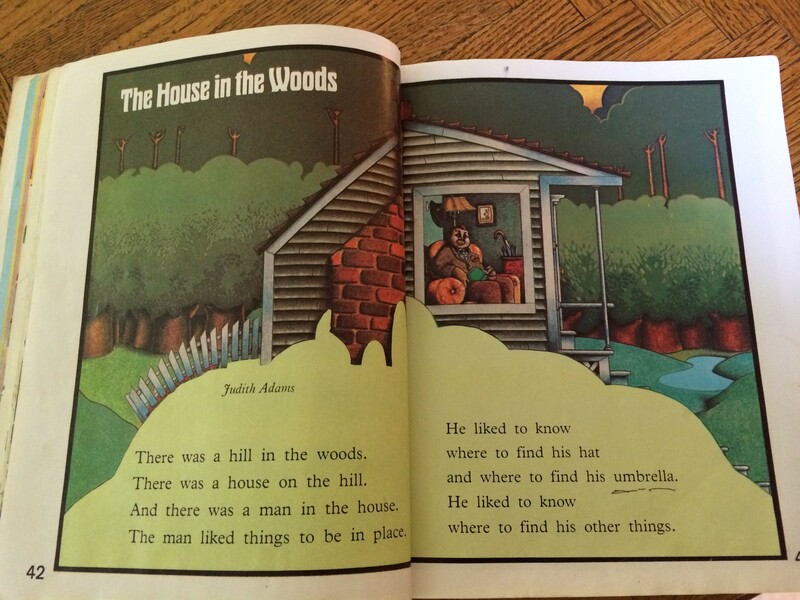 And he was happy to have a house in the woods. One day he went out for a walk in the woods. “What a day!” said the man. He looked at the woods. There were birds that sang. There was a little lake. There were fish in the lake. The many saw the birds fly. And he saw the fish jump. Then the man looked down. It was a green rock and he liked it. “It will go with my things,” said the man. He saw the fist and the birds. And he saw his green rock. “What a day!” he said. “Will my green rock go here?” said the man. But the rock looked too big. It did not go there. But the rock looked too little. “I like this rock,” said the man. But then he looked at the rock. “This turtle can be my friend. The man looked at his hat box. Then he looked at the box for his other things. “My hat does not have to have a box,” he said. “This box will be for you,” the man said to the turtle. Hal looked in the box. “Izzy was in this box. 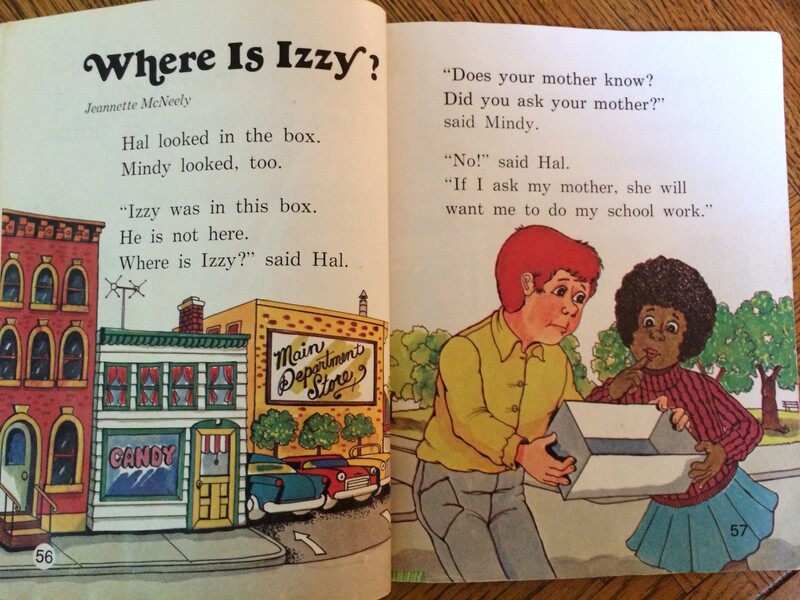 Where is Izzy?” said Hal. Did you ask your mother?” said Mindy. “Does your father know? Did you ask your father?” Mindy said. “Did you ask that man?” said Mindy. “Did you ask that woman?” said Mindy. “Why do you say that?” said Hal. “If you ask and run, then you don’t have to help,” said Mindy. But Hal was not there. Hal ran to the house. “Have you seen Izzy?” Hal said as he ran. Hal ran fast and was gone. “Have you seen Izzy?” said Hal as he ran. But Hal ran too fast for the man. “Have you seen Izzy?” said Hal. But Hal ran fast and was gone. “Who is Izzy?” said the mailman. “Izzy is my lizard,” Hal said. “He is, is he?” the mailman said. “Yes, Izzy is my lizard. But where is he?” Hal said. “I see you found your lizard,” said the woman. “I see you found your lizard,” said the man. Hal and the mailman saw Mindy. “I see you found your lizard,” said Mindy. Hal and the mailman laughed. “I see you found Izzy,” said he father. “I know. I ran too fast!” Hal laughed. Hal went to the house. “I see you found Izzy,” said his mother. The he looked at Izzy, and he laughed. Debbie and Ann are friends. If it does not rain, the girls like to go to the park. One day Ann said, “Debbie, Debbie, come on out. This is a day for the park. “It looks like a good day for the park,” she said. “Ann, wait for me!” It was a boy. “Who is that?” said Debbie. The boy ran up to the girls. 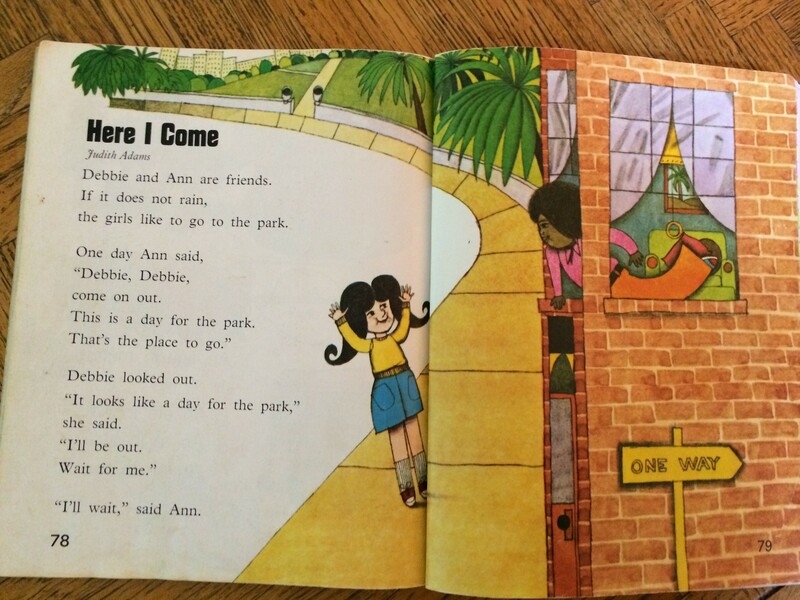 “Do you want to come to the park?” said Ann. Jay and Debbie ran to hide. “One. Two. Three. Here I come!” said Ann. Ann looked for Jay and Debbie. But she did not see Jay or Debbie. “I see you, Jay. Come on out. Come out, and I’ll look for Debbie,” said Ann. “One. Two. Three. Here I come,” said Ann. Ann looked in the box again. She saw a big rock. Then she saw the red hat move. It was Jay! Ann didn’t see Debbie. “Come out Jay,” Ann said. “One, two, three,” said Ann. She saw the red thing move. It was Jay with his red hat again. But Debbie didn’t call Jay. She went to look for Debbie. “Come on out, Debbie. I found you,” said Ann. I know where Jay is, too. But he likes to hide. The two girls went to the lake. “Where is Ann?” said Jay. “I don’t want to wait here. Jay went to the lake. “But you didn’t like that. Jay was happy to be with his friends again. He likes to hide sometimes. But he didn’t hide again that day! New words from this book, Amigos, Level 7. 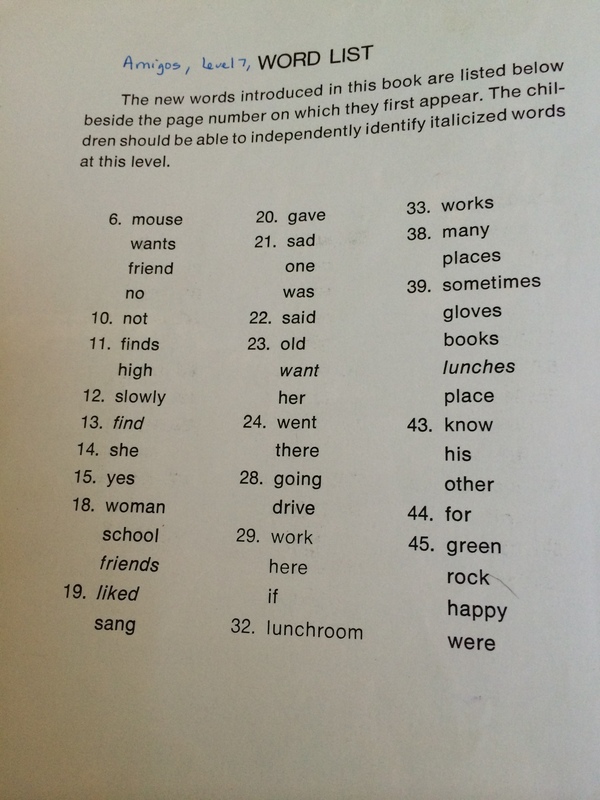 Please, practice reading from this list, again and again. Many of these words will be in the next level books, too. It is important to be able to understand, say and remember these words.